Great entry, Micha. I sent it out to our Israeli filmmaker group and I hope they benefit graciously from your knowledge. Keep going, give us more ; ). and there will be more, definitely! Great write up. This helps my workflow issues. I love the screen caps thanks a lot! 1. In Streamclip, is interlaced scaling necessary if viewing on an LCD TV? 2. In Streamclip, is cropping necessary? 3. If filmed at 30fps with 5D, is it necessary to change the frame rate to 29.97 (I’m assuming 25fps is a PAL standard)? 3. Any settings to be concerned with in DVD Studio Pro? Thanks again for taking the time. 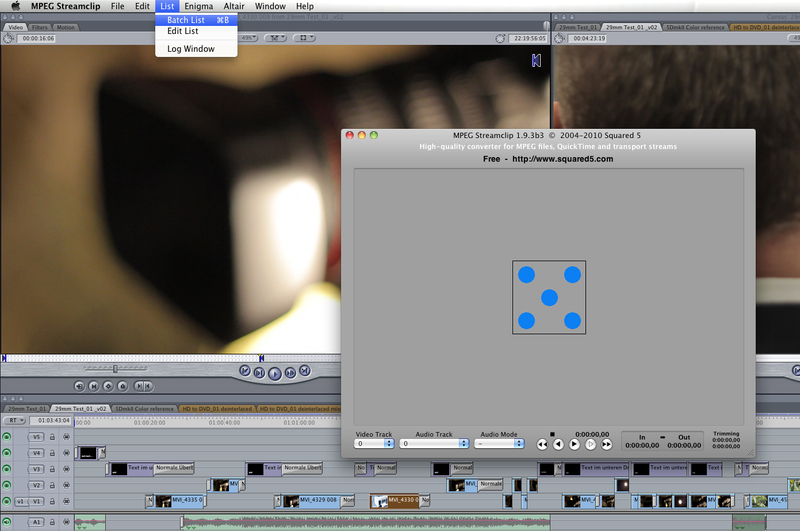 So far, most informative workflow from HD DSLR to SD DVD on the web! Look forward to future posts! hey brian thx for your comment! well if you have just DSLR footage there is no need for interlaced scaling cuz DSLRs shooting “de-interlaced” meaning progressive. Interlaced is just necessary for “old CRT’s” and broadcast. 4. Any settings to be concerned with in DVD Studio Pro? no, if you are using MPEGStreamclip & Compressor for all the encoding … you just have to use your m2v files coming out of Compressor in the end. I hope i could help a lil (more) … if you have any more question … don’t hesitate to ask! Thanks for the quick reply! Not sure if it’s necessary to go through the work suggest by Bloom since the difference of 30fps to 29.97fps is minimal (this is a non paying project). I burned a sample DVD with a menu & short track. Some artifacts seen but think I can live with it. You image of the MPEG Streamclip shows the Interlaced Scaling selected but I deselected it the second go around and found the image better – as you say LCD vs older CRTs. BTW, I’m rooting for Germany in the World Cup. My last name, “Dorr” is of German decent so I have to root for my kin. Hallo michael, thanx for your suggestions. Now i m on mpeg streamclip and when i export with your settings my file become 4:3 and the only way i found to let stay with right proportion is to insert in x/y 1,33. My footage is from a 5d mark ii 1920 pro res hq 24p. What do i m doing wrong? thanks mate … appreciate it … and what webside would that be? Just trying to make sense of all this. I am in the middle of a huge project that was shot in HDV. 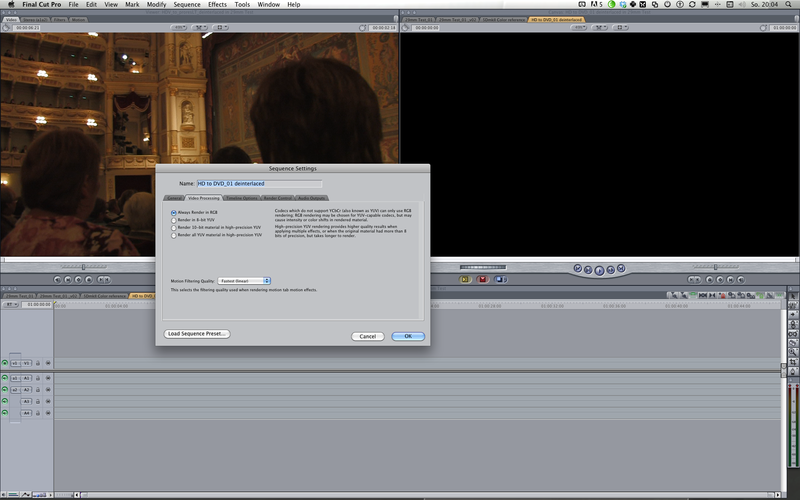 I am editing in HDV in FCP. OK…I have MPEG Streamclip….what settings do I use? The original video is 1774×997 QT .mov from FCP. Thanks for sharing your knowhow. Would you please help me , my master is App ProRes HQ 1920 X 1080, 25P what would be the best setting on Mpeg Streamclip to produce an very high quality PAL DVD (SD 16:9 letterbox)? This looks like it could solve the problem which has been taking up all my spare time for a week now! After you Log and Transfer original files in native format into FCP, do you then export a full quality QT movie and then use Streamclip to convert the files before importing them back in to FCP? I got a bit lost there. I am working with AVCHD files from a small Panasonic TM10 HD cam. 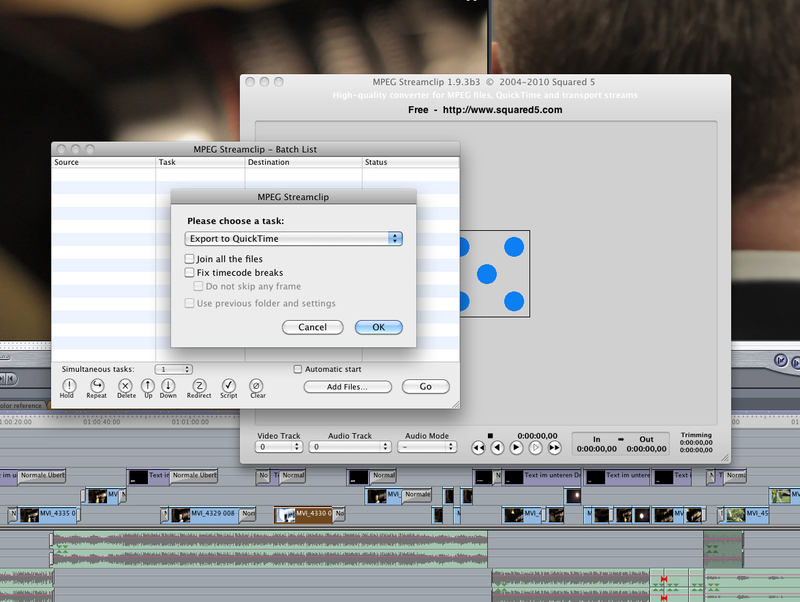 I log and transfer in native format into matching sequence in FCP (1920×1080, 29.97, or ProRes 422 HQ). 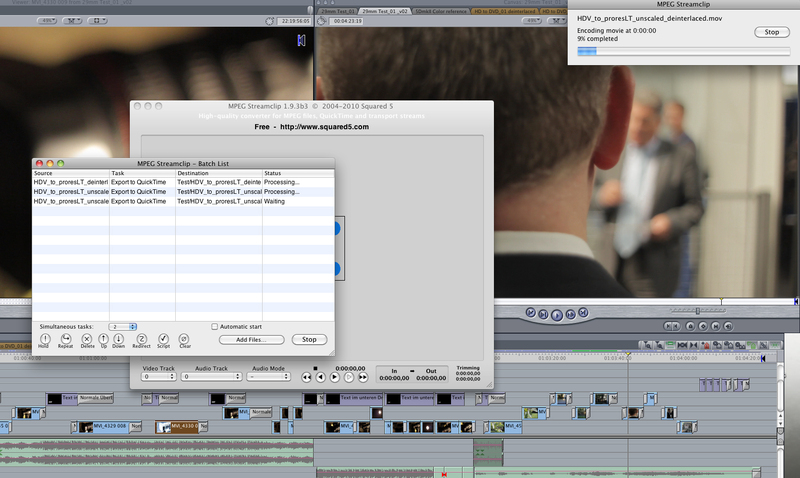 Then Export as QT Movie for Compressor and DVD Studio Pro to create a SD DVD. Unfortunately Compressor and DVDSP make a mess of conversion. After that we use MPEG Streamclip for HDV (and other kind of this sort of footage ) and / or the E1 plugin for HDDSLR footage (DSLR Log & transfer workflow coming next/soon) with HDV you have to pay attention to your Frame size as the original Footage is usual 1440 x 1080 (different pixel aspect ratio) … well in order to make / deliver a FulHD Master it has to rescale / covert to 1920 x 1080 … so, you can do this in FCP or Compressor or … during the first Transcode. Because, if you are mixing footage like 550D & XH-A1 you will run in some issues. I hope I’m making some sense here. I am finding all of this very frustrating. 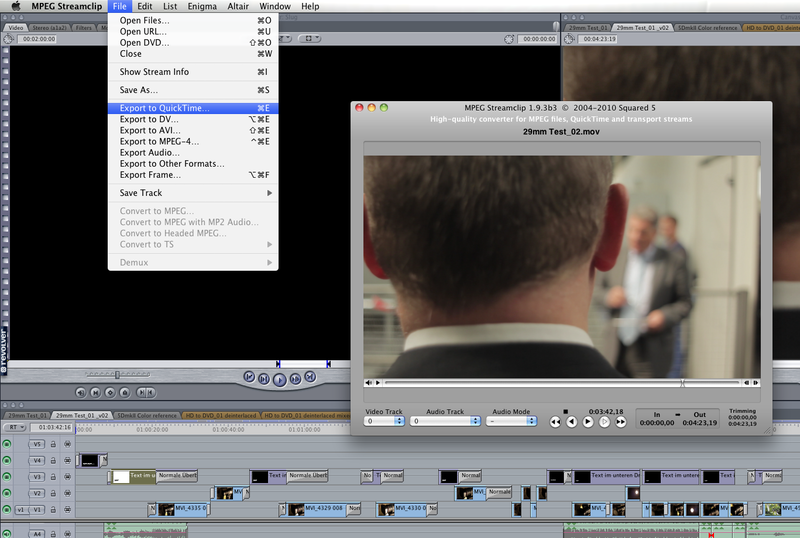 What’s the point of all these nice HD cams and nice FCP if it looks rubbish on DVD? Or…once it has been logged and transferred, are you converting files from the FCP Capture Scratch folder and replacing them in Capture Scratch folder? 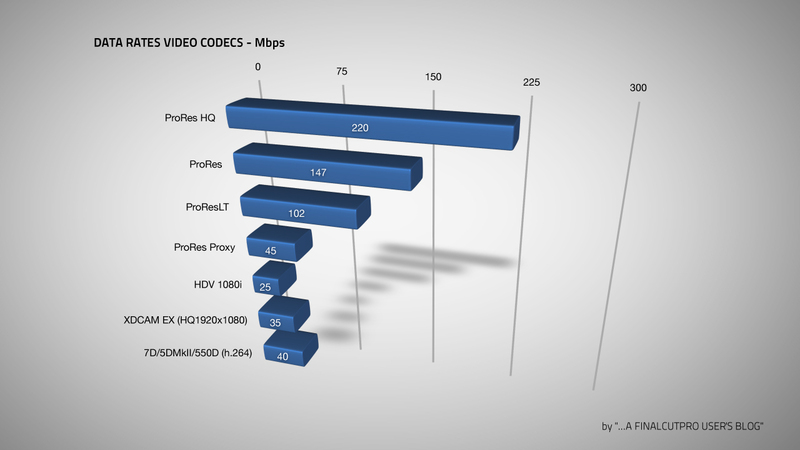 i log&capture native HDV and use MPEGStreamclip for a ProResLT transcoding AND the 1920×1080 scaling. I just want to thank you so so so much. I can’t tell you how many times I’ve tried to master a solid dvd out of FCP and Compressor and have spent late nights frustrated because my masters look terrible. I’ve tried everything under the sun and nothing seemed to work consistently. I’ve repeated your process twice now, and it seems to work great. It is so humiliating being a professional video / filmmaker and not being able to make a simple freaking dvd master that looks good. That should be so rudimentary shouldn’t it? Thanks for educating me and helping out of my ignorance. Once you’ve exported your master file from FCP, is it necessary to go back through MPEG streamclip to create the SD version? 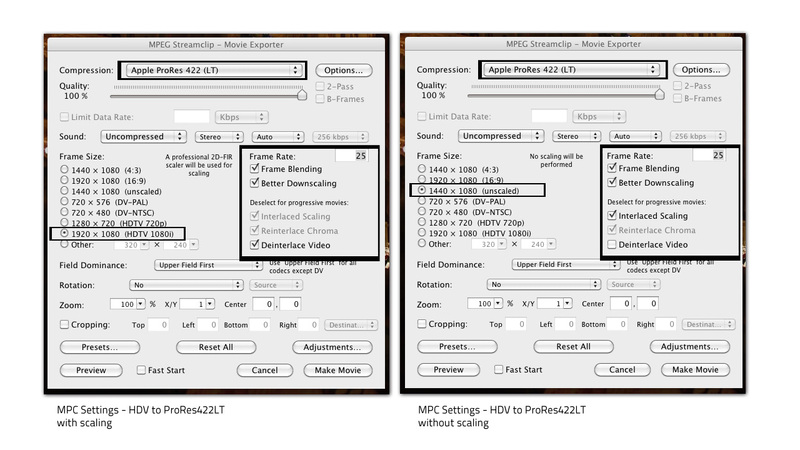 Won’t making the m2v file in compressor achieve the same thing, or is this the part that makes it actually look good on DVD? Thanks for the tutorial by the way, it’s the best thing I’ve come across after hours of frustrating attempts to do this!! 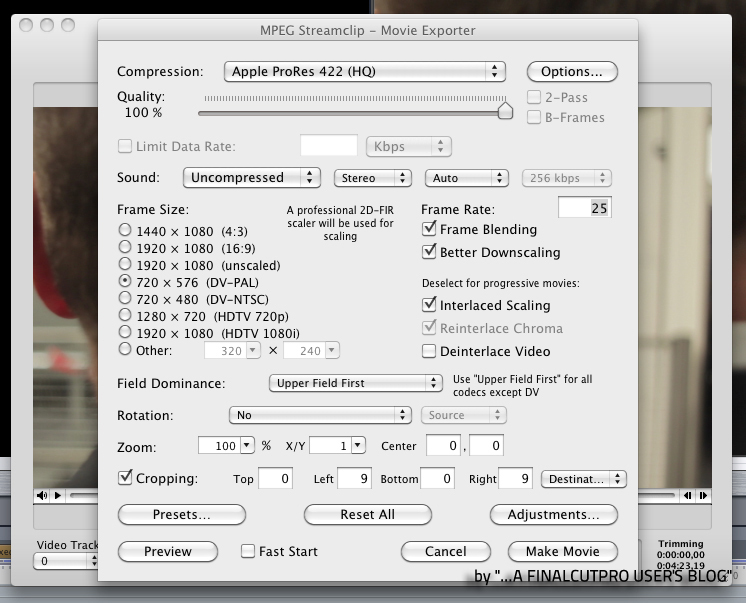 Great tutorial, but Downscaling with MPEG Streamclip is not necessary, you can stick with FCP. Just create a SD timeline (anamorphic, if you want a 16:9 DVD) and put your HD-Master in that timeline – do NOT change the timeline with clip settings. 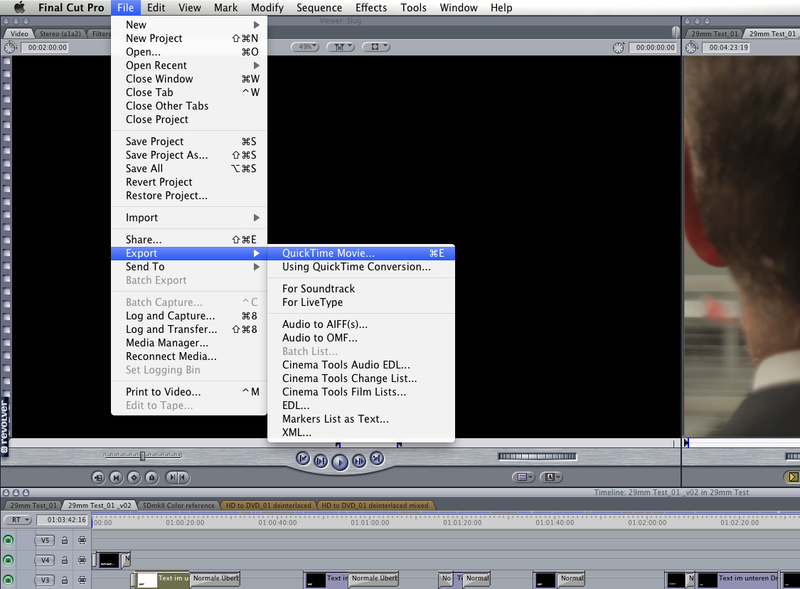 Render the timeline and export your new timeline with actual (SD) settings. Now you have a SD version of your master file. Very helpful. I use this all the time. Thank You very much for the insightful guide to SD Videos! However, the last step shown: Converting the file after FCP again in Streamclip with all of the shown export settings leaves my movie in a strechted 4:3 format. The best post ever: I’ve been trying tons of solutions but this has definitively been the best, no way!! Many many many thanks!!! Really: I admire you for sharing all this experience, thanks again!! !